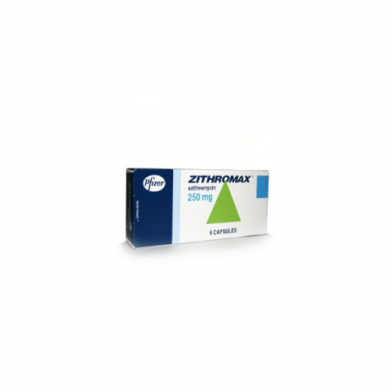 Zithromax can treat and heal bacterial infections such as common STI's chlamydia and gonorrhoea along with non-specific urethritis, ureaplasma and mycoplasma. It can also be used to treat a range of other conditions caused by bacteria including skin and ear infections. 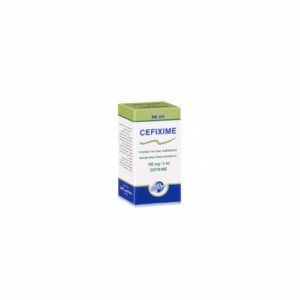 In children Zithromax is prescribed to treat middle ear infections, pneumonia, tonsillitis and strep throat. 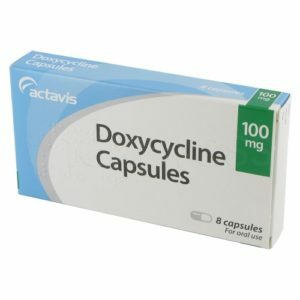 It is one of the worlds best selling antibiotics. It prevents infections from spreading by affecting the bacteria’s ability to make proteins. Zithromax stays in the system longer than most other antibiotic medications, so courses of this medicine are short, less intensive and effective. Unfortunately Zithromax is currently not available online in the UK. We do have another prescription medication available to treat chlamydia and gonorrhoea. 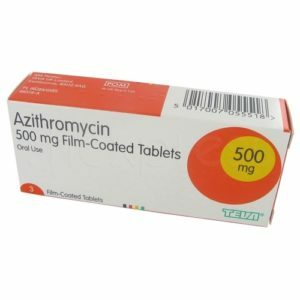 Zithromax contains the active ingredient Azithromycin which is a macrolide antibiotic. Bacteria can’t multiply because Zithromax affects the peptide activity and protein production. This is what keeps the bacterial alive and when Zithromax disturbs these functions the infection can’t survive. The dose and length of treatment with zithromax depends on what condition you are treating. Zithromax capsules should be taken before or after food and the suspension can be taken with or without food. When taking the oral suspension, open the packet and mix with water, stir and drink straight away. Results should be seen within 5 days. Some other antibiotics that can take longer than seven days to heal. Make sure you follow instructions from your doctor and take daily for the duration of the course. How do I buy Zithromax online? First you need to obtain a valid prescription through an online consultation to purchase Zithromax as it is a prescription medication. This is a free and short consultation from the privacy of your home. This replaces the face-to-face consult you would normally have with a doctor. Once you have been approved the medication will be sent out to you. So got my wisdom teeth out about three days ago had an infection got perscribed some other crazy antibiotic wasn’t comfortable taking it so I asked for a new one the next day and got perscribed zpack was hesitating to take this one also because of the reviews and warnings it has im also not one for taking antibiotics. Don’t listen to the reviews your reading they’re scary I have terrible anxiety but it’s rare that people have those side effects So yesterday I finally took it. only had slight nausea and abdominal pains I think the nausea was from the nervousness I also got an awesome sleep I’m already feeling better after my 2nd dose have 3 days to go. But I think it’s doing it’s job just eat yogurt and take a probiotic you will be fine. I was prescribed a five day round with the Z-pak after developing a severe flu-like upper respiratory infection with stuffed and painful sinuses plus aches, sore throat, diarrhea, muscle pain, nausea, and more. I had a Rituxan infusion, and all of this started the next day (common side effects or adverse events). I have rheumatoid arthritis, and my immunosystem is screwed to begin with and the Rituxan infusions temporarily make it worse. So I picked up a bug; bam! Long story, short ending. The Z-pak began working almost immediately, and two hours after my second pill of 250 mg (first was 500) I don’t feel sick. My sinuses are still a bit clogged but that’s livable. I’m impressed. It worked for awhile but didn’t kill the bronchitis because it came back – I also got a yeast infection right after taking it. I am on day 3 of this I felt like death on day one could barely stand up clogged up extremely sore throat … day 2 still clogged up but not as much and throat starting to feel better I’m surprised! Say 3 today still some mucus this morning dnd a bit of sore throat but way way better then day 1! Overall, the medications I was prescribed by the doctors worked pretty well. I had an awful cough for a little over two weeks, constantly coughing up phlegm, and had horrible wheezing. It says online to try and wait it out for two weeks but since nothing was getting better I went to the doctors. I was prescribed the z pack, a 5 day dose of prednisone, and an inhaler. After about 3 days on the medications there was a significant difference. I no longer was experiencing cough attacks and the amount I was wheezing diminished. I’ve been off the medication for 3 days now, and a majority of my bronchitis is gone. I experienced no side effects with any of the medications and am overall happy with the results. Took this last week under the directions of my pharmacist. I ate a full dinner (burger and some veg) and waited 45 minutes to an hour before taking my 4 large pink pills. My pharmacist and my doctor both recommended staying away from dairy in the meal before I took the pills. Went to bed feeling a little nauseous but, that could have been nerves because of all the reviews on here. I slept through the night, totally fine. No diarrhea, no vomiting. Got my lab results back this morning and I’m in the clear. I have asthma and recently came down with bronchitis yesterday and ended up at urgent care. I had noticed it a few days ago when my chest was tight and my inhaler wasn’t helping, and this morning after I woke up feeling terrible with a wet cough and lower back pain from the cough. I went to urgent care and they prescribed me a z pack which I am currently on. The second day of taking it I had a 101.4 fever, and it has been reduced by taking ibuprofen as well. I am coughing up lots of phlegm which is helping me breathe better, and I’m coughing less. Overall, so far doing good. I will update if anything comes back. This is the only antibiotic that ever works for me. Whenever I have a cold and the Dr claims it is viral, it always goes to my tonsils. 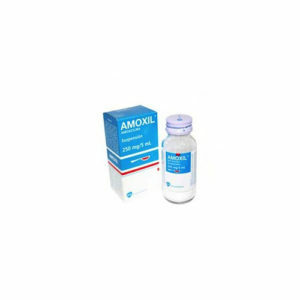 This time I waited 7 days suffering fever and a throat so sore I could not swallow, and eventually went to the pharmacist and asked for Zithromax z pak. Within 1 day I was 80 percent healed. No side effects. It works for me everyntime. By day 2, all sinus congestion had gone and I got my first real sleep in two weeks. Felt better overnight. Had upper respiratory tract infection. Zero side effects!